‘The roles of Religions for Peace Malaysia in 2015/2016’ is played through promulgation of peace education, peace dialogue and the globalization of peace culture in order to build and maintain unity and harmony in Malaysia as well as in other parts of Asia. The major objectives of Religions for Peace Malaysia in 2015/2016 has been to advance multi-religious action for the common good; to transform conflict, promote just and harmonious societies, advance human development, and protect the earth; and to publish multi-religious teaching and learning materials, and various research publications. The contents and context of the program was from the perspectives of Buddhism, Christianity and Islam to explore the change and abolishment Death Sentence Penalty in Malaysia. The theme of the program was to change and abolish the Death Sentence Penalty. One of the main goals of the program was discuss the opinion of different religions and perspectives of various faiths to review. It was to urge the Malaysian Government to change and abolish the Death Sentence Penalty. The perceived significance and impact of the program finally submitted a proposal to the Prime Minister of Malaysia in order to change, review and abolish the Death Sentence Penalty. The articulated issues, problems and challenges of the program was in a short and mid run, to stop the execution of Death Sentence Penalty, and change it to a permanent imprisonment; in long run is to abolish the Death Sentence Penalty totally. The recommendations and ways forward in relation to the goals of Death Sentence Penalty were the related authorities and NGOs must cooperate to help Malaysian Government to review and abolish the Death Sentence Penalty. 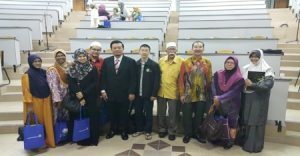 The contents and context of the program was to explore the Islam and the Chinese Society in Malaysia. The theme of the program was Islam and Chinese Society. One of the main goals of the programs was to reduce and settle the Chinese-Muslim problems such as before and after conversion to Islam, the ways of life, etc. The significance and the perceived impacts of the program were finally to urge the Malaysian authorities to reduce the red tape of registration from non-Muslims to be a Muslim; accepted the original culture of the converter, etc. 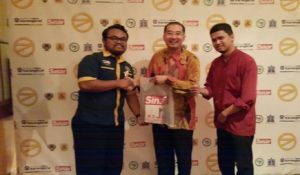 The articulated issues, problems and challenges of the program was in a short and mid run, to change the red tape of execution of registration as a Muslim; and in the long run is totally accept the original culture of the non-Malay Muslims. 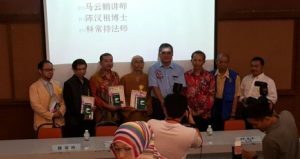 The recommendations and ways forward in relation to the goals of Islam and Chinese Society in Malaysia were the related authorities and the NGOs must cooperate to help Chinese Muslims to be good Muslims thorough Islamic education, etc. The program was The Second Cconvention of World Civilization. 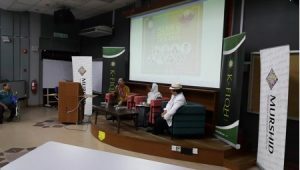 The contents and context of the program was to explore The Relationships and challenges of Chinese Muslims and Malay Muslims in the formation of a harmonious Malaysian Society. 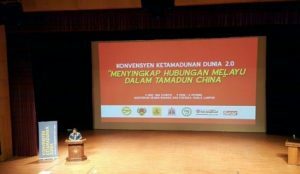 The theme of the program was ‘Disclose the Relationships of Malay Muslim in Chinese Civilization’. One of the main goals of the program was to reduce and settle the Chinese Muslims problems such as before and after conversion to be a Muslim, the ways of lifestyle, etc. There are estimated 40,000 person Chinese Muslims in Malaysia in year 2010.The perceived significance and impact of the program was finally urged the Malaysian authorities to reduce the red tape of registration to be a Muslim; accepted the culture of the converter, etc. 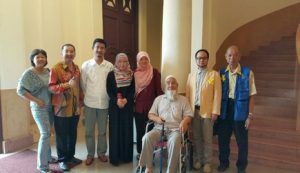 The recommendations and ways forward in relation to the goals of Chinese Muslims and Malay Muslims in Malaysia was applied the theory of pluralism and acculturation in order to build a harmonious society in Malaysia. The program is the First International Conference on Taoism in Malaysia. The contents and context of the program was to explore the ‘Taoism culture in Malaysia’. 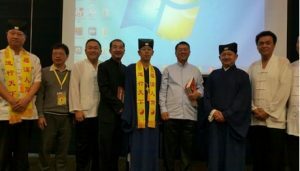 The theme of the program was The Promotion and Development of Taoism in Malaysia. One of the main goals of the program was to promote Taoism culture in Malaysia. 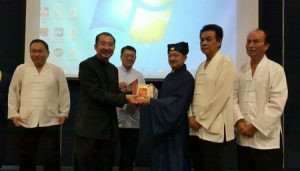 The perceived significance and impact of the program was finally to organize various Taoism Educational Programs in Malaysia.